As the weather continues to heat up, you’re going to rely more and more on your air conditioner to keep your home comfortable. That’s going to contribute to some pretty high monthly operating costs, but what can you do? Go without and be miserable all summer? No, all you need to do is take some steps to increase your air conditioner’s energy efficiency. The following are some of the best ways you can increase your air conditioner’s energy efficiency before summer arrives. What Really Happens During an AC Maintenance Visit? 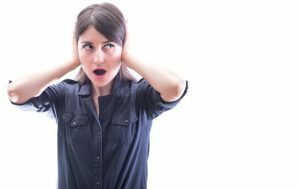 Many of our customers have never thought before to call a technician to their homes when there doesn’t appear to be anything wrong with their AC systems. But after they hear of the benefits of a routine air conditioning maintenance visit, customers see that this valuable service can only help them out. Air conditioning maintenance, usually best when performed at the beginning of the cooling season (in the spring) can help your air conditioner to perform better, keep it from breaking down too soon, and lower your monthly bills. So what happens during an AC maintenance visit? Posted in Air Conditioning | Comments Off on What Really Happens During an AC Maintenance Visit? An air conditioning replacement is expensive, and it’s something you may want to delay for as long as possible. If you want some tips as to how to keep your air conditioner in the best condition possible for the longest period of time you can, read on! A lot of homeowners have heard something about the importance of having a clean air filter. Not only does a dirty filter make it harder to keep the air clean and prevent allergy symptoms from acting up—it’s also bad for the system when the filter is so clogged that the AC cannot draw in enough air. Why Should You Join an Air Conditioning Maintenance Program? As a Miami, FL resident, your air conditioner gets quite the workout. It’s only natural that you want to find a way to prolong the life of your system and increase its efficiency as well. There are a couple steps you can take to ensure your air conditioner is ready for the summer season each year, such as checking to see if your filters are dirty and clearing out any landscaping debris surrounding your outside unit. This does not compare, however, to enrolling in an air conditioning maintenance program. 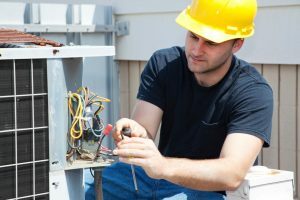 Posted in Air Conditioning | Comments Off on Why Should You Join an Air Conditioning Maintenance Program? In general, you don’t have to know much about the various components of your AC system. But from time to time, we like to inform homeowners about the inner workings of their air conditioners so that they can learn about the best ways to properly care for their system. Today, we’ve put together a quick guide to the indoor and outdoor coils of your AC system, and what can go wrong with them.